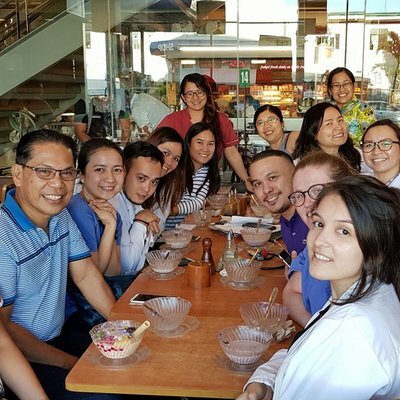 A career in healthcare can be stressful enough without the prospect of organising your elective, so I chose to book with Work the World - and what a fantastic decision it turned out to be! Before my 8 week elective in Tanzania I discussed with the team about what I aimed to achieve and everything was tailored to my needs. They were on hand to discuss anything I needed - whether that be booking flights, what to take, medications and pretty much everything else under the sun. On top of this, you can travel safe in the knowledge that you will have someone to meet you at the airport, a fantastic place to stay and experts to introduce and guide you in your new surroundings. Travelling by yourself is a daunting experience for many, so Work the World provide the opportunity to live and work with other people sharing the same experience. The Dar house is situated in a fantastic position. Within a five minute walk there is a shopping centre, internet café and supermarket selling everything you forgot to pack! A five minute ‘Bajaj’ ride (motorised rickshaw) can take you to hotels for cake and cocktails and many restaurants selling Tanzania’s finest fresh fish and other well-known foods. Nearby there is a fantastic craft market selling all those presents to buy for those stuck back home. When not out and about exploring, the house offers a fantastic pool, great for chilling after a long day at the hospital. It's a great base for making friends too - I made many new friends for life! The staff at the house are so welcoming. Rehema (the chef) will take you to the market and Edito (security) will play football with you all day or show you Neville the tortoise who lives at the house. Not forgetting Mark and Alpha, the programme managers who will show you the ropes and help organise activities and trips. It is quite easy to forget that I went on elective to experience some medicine - but that was what took me to Dar es Salaam! I spent 7 weeks at a government hospital in the centre of Dar. 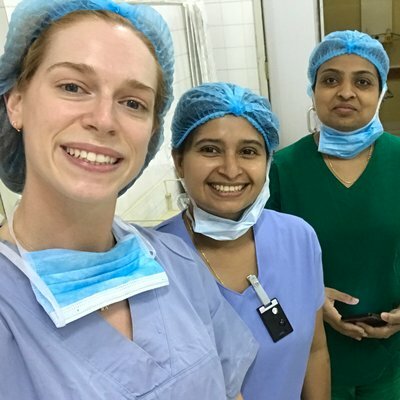 My placement was tailored to my preferences, which included two weeks in Surgery, two weeks in Emergency Medicine and three weeks in Internal Medicine. 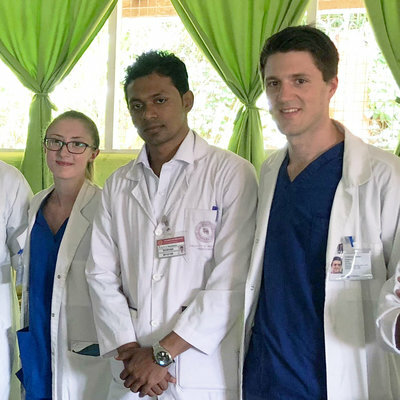 The elective gave me the opportunity to practice the skills I had already developed at home and experience patients with diseases not commonly seen in the UK. The doctors speak good English so communication is not an issue and they are very keen to share their knowledge. Many of the cases I saw were end stage diseases with lots of physical signs. It can be a sad experience at times but also a rewarding one too. The hospital has basic facilities but being one of the bigger hospitals in Tanzania, it is better equipped than most. I spent one week undertaking the Village Experience and this was definitely an unforgettable week! Staying with a local family, we worked in the local health centre Monday to Friday doing Ward Rounds, Outpatient clinics and the HIVAIDS treatment service. In the afternoons we were given free time which we mainly spent entertaining the waves of children who came to see us! After this, Elias, the guide for the week, will take you on activities. These included a visit to the traditional healer, African dancing lessons, a visit to the Masai village, primary school and market. This is a great opportunity to immerse yourself in village culture and I would fully recommend it to anyone. Weekends provided a time to chill or travel. We organised a 3 day Safari in Mikumi National Park on the tip of Selous and I somehow managed to fit in three trips to Zanzibar to see Stone Town, Kendwa and Nungwi! There are fantastic beaches, snorkelling, giant tortoises, turtles, dolphins, diving, sea-kayaking, sunset dhows and so much more! Other weekend trips included beach breaks at Kipepeo and White Sands. We went on several day trips and took in sights such as Bagamoyo by bike, Mwenge carver’s market and an orphanage. There are so many opportunities just waiting for you to experience. So, in summary- I would seriously recommend booking your elective with Work the World. It’s hassle free and great fun. Does it get any better than that?